Microcontroller Comparison. As microcontrollers are basically your robot’s brains, it is highly recommended for robot builders and enthusiasts to know the features and limitations of each of the microcontrollers available before deciding to work with one. There are several features a microcontroller may have that others don’t but this may also mean that it’s a lot more expensive. Robotics companies normally have a wide range of microcontrollers under one brand, meant to address the different and specific needs of robot builders. Microcontroller Comparison. The basic ones are intended for beginners or younger enthusiasts and are less expensive than the more advanced and faster ones, meant for more professional robot-building. The hardware is available on most robotics online shops while the software can be downloaded for free. In this microcontroller comparison, Vex Robotics, for example, has PIC microcontrollers and CORTEX microcontrollers. * (8) Motor ports: can connect up to (8) VEX motors or servos. * (16) Digital I/O, Analog In: multipurpose input/output ports for sensors. * (6) Interrupt I/O: digital inputs designed for high priority signals that need immediate attention from the microcontroller. * TX/RX Ports: allow the user to communicate directly with the user processor inside the Microcontroller via a TTL serial port. * Rx1 and Rx2 Ports: Connect radio receivers to communicate with the Microcontroller wirelessly from a Transmitter. * Battery Port: Connect a 7.2V power sources, such as the Battery Holder or the VEX 7.2V Robot Battery. * (2) 2-wire Motor ports * (1) I2C "smart sensor" port: Will connect to multiple new smart sensors in the future. As part of our microcontroller comparison, you will see there are less expensive and equally good microcontrollers, like Basic Stamp and Arduino. The Basic Stamp microcontroller’s size is close to an average postage stamp, which explains its name. These microcontrollers were created specifically to make learning to use a μ-controller simple and easy, which is perfect for beginners. They’re also cheaper at $50 - $100, depending on model. They have different modules, from BASIC Stamp 1 to BASIC Stamp 2sx. The BASIC Stamp 2sx module executes instructions 2.5 times as fast, has 8 times the memory (code) space and 2.5 times the resolution on time sensitive commands. In some cases, the BASIC Stamp 2sx module fits applications better than the BASIC Stamp 2 module. The BASIC Stamp 2 module can detect and measure a pulse as little as 2 µS wide and as long as 0.13107 seconds wide. The BASIC Stamp 2sx module has 2.5 times the resolution, so it can measure a pulse as little as 800 nS wide, however, only as long as 0.05243 seconds wide. While the better resolution may be helpful, the smaller maximum pulse width measuring capability may prove disadvantageous to your application. As you compare microcontrollers, you will also find there is an enormous amount of information for BASIC Stamps available in print and online, the Stamp line of microcontrollers is accordingly one of the most widely documented μ-controllers in existence. * Program Execution Speed: ~4,000 PBASIC instructions/sec. In our microcontroller comparison, you might notice Arduino Microcontroller boards are relatively more inexpensive than other microcontroller platforms. They have versions that can be assembled by hand, and even the pre-assembled ones can cost less than $50. The Arduino programming environment is also said to be good for beginners, yet flexible enough for advanced users to use as well. 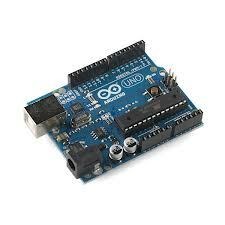 Arduino software can be downloaded for free. The hardware reference designs (CAD files) are available under an open-source license, which means you are free to adapt them to your specific needs. Additionally, variations of the Italian-made Arduino—with varying levels of compatibility—have already been released by third parties. The Arduino Uno is a microcontroller board based on the ATmega328. It can be powered via its USB connection or with an external power supply. It has 14 digital input/output pins (of which 6 can be used as PWM outputs), 6 analog inputs, a 16 MHz crystal oscillator, a power jack, an ICSP header, and a reset button. It contains everything needed to support the microcontroller; simply connect it to a computer with a USB cable or power it with a AC-to-DC adapter or battery to get started. The board operates on an external supply of 6 to 20 volts. The Uno differs from all preceding boards in that it does not use the FTDI USB-to-serial driver chip. Instead, it features the Atmega8U2 programmed as a USB-to-serial converter. Depending on model, Arduino microcontrollers can cost anywhere from $30 to $80. Again, choosing the right microcontroller depends on your needs. There is always something for everyone.